Each open house will include an overview of the details of the bond, a tour of the current facility, and an opportunity for attendees to ask questions about the project, facility and more. To learn more about the proposed bond, please join us for one of the scheduled open houses or visit the City’s website at www.ci.moscow.id.us. 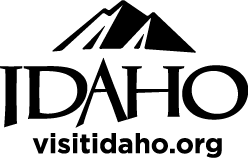 Presentations or tours may also be requested at any time by calling the City of Moscow directly at 208-883-7080. Two sessions daily starting 8:00am and 9:00am.